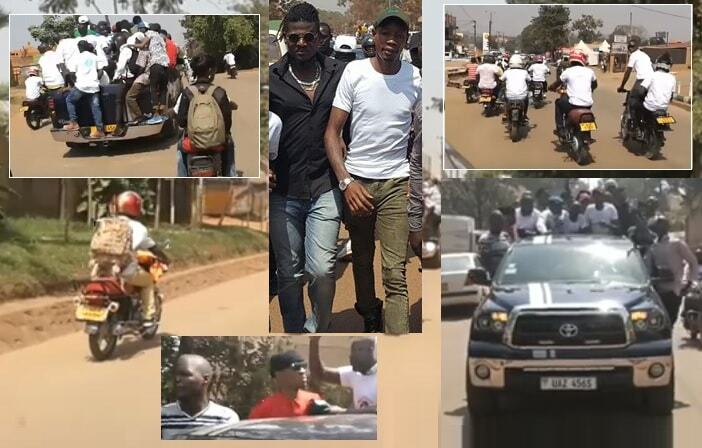 Brian Kirumira aka Bryan White was this morning released on bail together with his bodyguard corporal Thomas Okot. The socialite who is battling with attempted murder charges was released on a cash bail of Ugx 10million. He will be returning to court on Jan 30, 2018. By 7:00am, Brian White who was clad in a white T-shirt and a green cap was brought to court and by 9:00am, the court session kicked off. Artists like King Michael who also composed a Bryan White song and Big Eye were among those that were in court to follow the proceedings. He had to deposit his passport as part of the bail conditions, he is also not supposed to leave the country. Victor Bitwire's relatives who attended were not happy with the court's decision to release him. Inmates at Luzira prison will miss him, but the beauty with it is that they will forever be grateful for the heavy breakfast they've been receiving let alone the plasma TV's whose DSTV subscription has been paid for two years. He walked for some yards away from court before boarding a black Tundra pickup with lots of bodaboda's doing their bike stunts as a way of welcoming him back from Luzira.